This show is really difficult to predict. Watching all those cute childhood memories brought this dread feeling in me where I was sure that something terrible was about to be revealed at the end and we’d get a more tragic version of the events of episode 1. 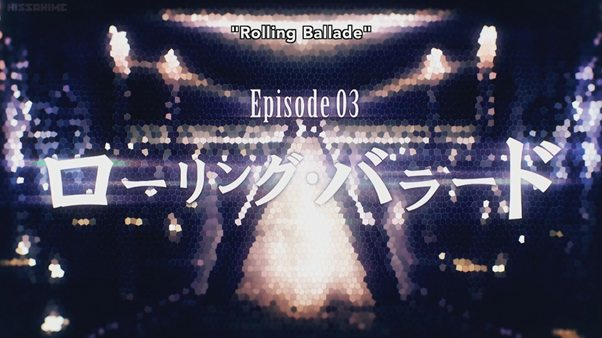 Given the way that the last two episodes panned out, the theme of the show and general atmosphere in the Quindecim, I was expecting a darker, heavier turn of events. Don’t get me wrong – I loved the way that both the college kids got to go to ‘heaven’ or ‘reincarnation’ or whatever, but at the same time, there’s a sick, twisted part of me that feels like the show took the easy way out in letting them both ‘win’. It was lovely to watch and quite heart-warming really, but there was an opportunity in this episode to really stir up powerful emotion and drive home the fact that the arbiter’s job is not always an easy one. I guess I just can’t shake the feeling that this episode was only good when it could have been great. I was a little let down by the fact that we seem to be in this ‘couple’ of the week mode. I had hoped that we could explore the world of the arbiters a little more and their own lives. It is early days still and I believe we still have a bunch of new characters coming our way but this episode in particular didn’t have much for us to bite our teeth into. The couple in question this time were genuinely good people and while that’s good for them, it means that they’re rather bland for a premise like this. Honestly, most of the tension in the episode came from wondering how this lovely duo would mess each other up. I wasn’t looking forward to that happening per se, in the same way you don’t look forward to the horrifying things that happen to the protagonists of a horror movie but I expected it all the same. I guess, if I had to summarize it, I would say that the biggest issue was the ‘twist’ at the end sort of fell flat. I don’t want to make it sound like this was a bad episode though because it wasn’t, not nearly. All my bitching and whining comes only on reflection but like I mentioned, there was a genuine tension throughout the episode and I found myself quite intrigued. 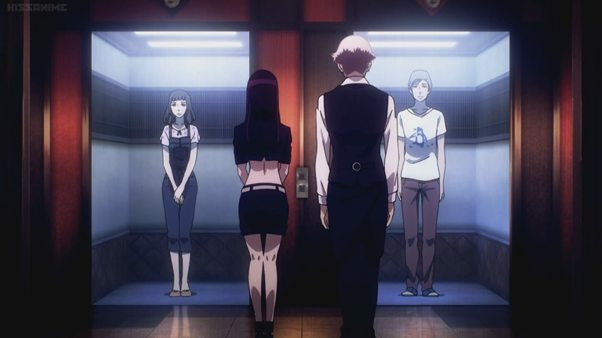 Our two new characters didn’t really grab my attention and I don’t think it would have made sense (given their own stories) for the show to really delve into their backstories but we saw new nuances in the dynamic between the Assistant and Decim, which was nice. 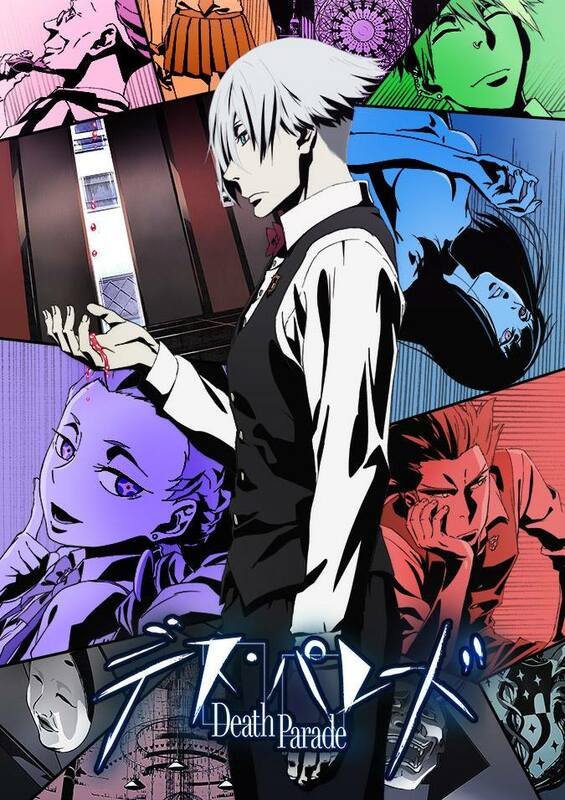 The Assistant continues to be the most watchable character on the show (perhaps after Nona) just because most of the week’s contestants tend to be too confused to really entertain us and Decim is, well, Decim. He is stoic and unfeeling and though he doesn’t lack a sense of humour, the Assistant is a great foil with her liveliness and the general light-heartedness she brings with her. 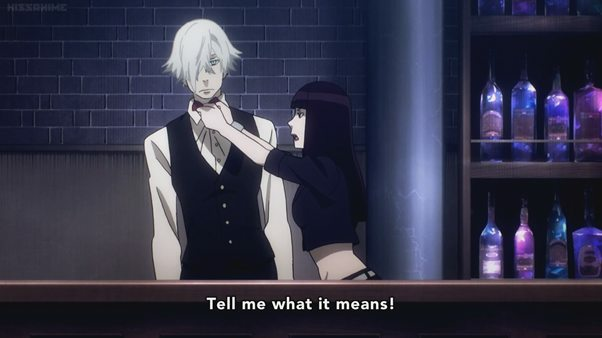 The exact nature of the relationship between the Assistant and Decim isn’t really clear at this point. She seems pretty open and comfortable around him, grabbing him by the collar and telling him off when needed. 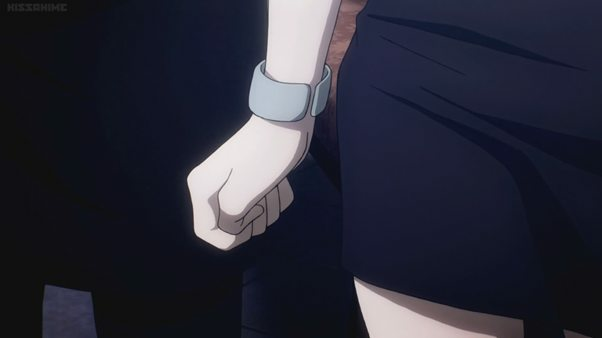 I might be misreading things but she seemed agitated when the couple asked for extra time for their date – her hand clenched into a fist, though I’m thinking not out of anger, but something else? Loneliness, maybe? I wouldn’t be shocked if she had hoped to grab Decim’s hand at that second, either since the opening song seems to indicate a pretty intimate relationship between the two. I don’t really know what to think of the possibility of their potential relationship simply because I don’t really know the parameters of their world – is it allowed? Can Decim actually feel things? What are their backstories? There are still plenty of questions to answer though in the interim, I think this pairing has my blessing. The more I think about the episode, the more I get past my kneejerk first impression. I would still say it was a good episode and not a great one but at the same time, I have to admit that I sort of ruined it for myself by trying to force my impressions of what the show would be onto what it actually was. This episode did actually reveal that the universe that the show is set in is not as gloomy a place as I first though – it is possible for both people to ‘win’ and in the creators’ minds there are genuinely good people in the world. I wonder if the next episode will give us two utterly despicable people, to compensate for the sugary sweetness of this week’s couple?